Please click here to view article online. The response to the attacks in Paris require military, legal and ideation efforts, writes Anne-Marie Balbi. In light of the recent horrendous terrorist attacks in Paris the world has stopped in awe to take in and contemplate the terrible atrocities of 13/11. A typical Friday night – wining and dining with your friends at the local restaurant; having an AW drink with your colleagues in a popular bar strip; watching a friendly soccer game live cheering for your team; heading to a much anticipated concert to watch a band play live – that turned into an inferno. All in the midst of the multi-cultural centres of Paris – where the future generations are thriving. The horrific imagery that has emerged from outside the Bataclan concert hall where people are fleeing for their lives gives a traumatising glimpse of the events that unfolded. Literally like taken from a horror movie. Only it is real. It brings to mind a recent article by The Guardian that discusses why the current younger generation are so attracted to the ‘survival of the best’ movie series the Hunger Games. “The brutal, bleak series that has captured the hearts of a generation” – referring to Generation K (coined by economist and academic Noreena Hertz) after the hero of the movie Katniss – who can relate to the movie on a personal level as they are navigating a dark and difficult world. For these young people are surrounded by violence everyday – for Generation K violence has become the new normal. We only need to rewind back a few weeks leading up to Friday: the metrojet crash in Sinai, suicide attacks in Beirut, attacks in Baghdad, and then Paris – it all speaks for itself. Only last Friday, Generation K ended up in the movie itself. They became the actual victims in the events that unfolded on Friday night. Not only did Generation K become victims, they were also reduced by the audience. Much similar to the Charlie Hebdo attacks, where the victim’s voices were silenced due to the debates about religion and secularism, the same thing happened with the recent attacks. Cheap political points were made by people, who instead of honoring the pain and grief of the victims and their loved ones going through the aftermath of the atrocities, had to get (facebook, twitter etc) ‘likes’ for making a case for why the same kind of attention was not provided for people in the ‘Arabic world’ or for ‘non-white people’. Although a fair point to be raised, the timing couldn’t be worse (disrespectful to say the least) for the victims (of all attacks) and the debate becomes completely misguided. Let’s not forget that many of the victims in Paris probably were Muslims themselves, originating from Arabic countries. Nor is the Paris attacks a case of failed French assimilation policy or an issue of ‘social inclusion’, as insightfully discussed in this piece. If reports about the attacks being motivated by retaliation for French involvement in Syria prove correct, most parts of the world will qualify as the target for the next attack. No matter what ISIS’ motivation for the attacks their end goal is division. Let us instead respect the three days of mourning in France. Reducing the Paris attacks serves no-one. These kind of debates are worthwhile having, however it detracts from the real issue at hand. Instead we need to use this momentum for clearing through the clouded debates and unite against the real cause behind the attacks. In times like these we need clarity – we need to see things for what they are. Not clouded by the misguided debates on social forums. So how do we respond to the attacks? The response will most certainly be clouded by the constant discourse of a ‘battle for hearts and minds’ and the claims of the West losing a ‘war of ideas’, however these claims, as professed over and over, are starting to ring quite hallow. Any successful counter-terrorism approach must apply both soft and hard measures – or a smart power approach. Regardless of the lessons learnt and legacy of the Bush administration, we cannot defeat ISIS by just targeting their narrative and applying alternative counter-narratives. J.M. Berger, a prominent ISIS expert, posted an insightful article only two days before the Paris attacks, stating that “[t]he Islamic State isn’t succeeding because of the strength of its narrative. It’s succeeding because it can mobilize a microscopic minority.” In a kind of state of clarity, he highlights how the refrain of a ‘war on ideas’ has echoed throughout most of American history. The ‘war on ideas’ was fought both against the Nazis and the Cold War communism – but was only defeated on the battlefield. According to her, the common factor for both the Islamic State and the ideologies of Anders Behring Breivik is the pure fascism – they position their people and religion above all others and do not hesitate to kill alleged enemies. Seierstad also highlights another important aspect and similarity to Breivik. Although the Paris attack witnesses report the shooters claiming the acts were retaliation for French bombings in Syria they did not attack French military facilities or symbols of French power, such as ministries or palaces, nor tourist attractions such as Champs-Elysees nor the quarter neighboorhoods of the elites. They were also not interested in attacking critics of Islam or right-wing populists. No, just like in the case of Breivik, the key target victims were the young, progressive and tolerant. “They wanted to target where it would hurt the most – la vie a la francaise – the every day life.” They targeted the area of the 11tharrondissement – the area of the bobos (a term for those both bohemes and bourgeois) and hipster socialists. As Seierstad denotes, the area is known for being progressive: with a female socialist mayor; with a lot of votes for the Greens; where the voices of Le Pen, the nationalists and immigration critics has little ground. Therefore making them the perfect victims. Seierstad stresses the French national soccer team and its fans as the ideal target of victims. The French national team is the most successful integration project in France, with most of the players having other ethnic backgrounds. She concludes how the grey zone is IS’ warzone. That zone, which bridges gaps between people in Europe. That which you find between black and white. Between us and them. Between with or against. For ISIS the end goal is all about making things black and white – for humanity to choose between the camps of Islam or the infidels. Just like the right-wing extremists hate the ‘colorful’ societies, the IS hates the ‘grey-zone’. The list of common denominators between the extremists is long – the hate against women, the talk about honor, martyrship, the thirst after power. It is no wonder that the unwillingness to engage in a military response is a legacy of the Bush administration. However, this fact should not cloud us from seeing things for what they are. This time around there is no question of Iraq breeding terrorism and the Syrian conflict only plays into the hands of ISIS – which means that the international community, including regional parties, must put its differences aside to work for an endurable solution. Because at the end of the day – no counter-narratives or ‘war of ideas’ are going to make ISIS go away. No containment – which has been the policy to date – has averted them from successfully carrying out attacks and stopped the spread of the organisation’s growth in the Middle East. In fact, top European leaders are now saying that what happened in Paris could just as well have been Britain, Denmark or Sweden. Europe and other Western nations are now just preparing for the next attacks to take place. While France and the US has initiated a coherent military response in light of the Paris attacks these efforts must be backed up by a unified international community – as what ISIS most fears is unity. The battle against ISIS will only be won by a coherent effort targeting it on three levels: military, legal and ideational. As a Swedish News Editor recently put it: “The civilised world must together unify against the barbarism while simultaneously defend the ideas of the enlightenment”. We simply cannot let Generation K – the young, progressive and tolerant, whether in Baghdad, Beirut, Oslo or Paris – live their lives in midst of the Hunger Games. The brutal, bleak series that has captured the hearts of a generation will come to a brutal, bleak end in November when The Hunger Games:Mockingjay – Part 2 arrives in cinemas. It is the conclusion of the Hunger Games saga, which has immersed the young in a cleverly realised world of trauma, violence, mayhem and death. Certainly there’s a sense that the Hunger Games trilogy was very prescient. When the first novel was published in 2008 the global recession was just beginning. Since then we’ve seen economic collapse in Greece, the Arab spring, civil war in Syria, the rise of Isis and the deaths of black men and women at the hands of the police in the US leading to the formation of the Black Lives Matter movement. Small wonder that the Hunger Games, with its tributes and brutal deaths, its armed rebellion in District 13 and its pleas by traumatised citizens for the state to stop killing its citizens, seems less like fantasy fiction and more like a dark reflection of our times. The generation reaching adulthood in the latter part of this decade has not yet been named. The reason for this may well be superstition. First, we had Generation X, the anhedonic children of the 1980s and 1990s; then there was Generation Y, the anxious, driven millennials who grew up just in time to inherit the financial crisis. What can today’s teenagers call themselves that doesn’t sound apocalyptic? Where else is there for them to go but the end of the alphabet? It’s a little too prophetic for comfort, because if ever there was a cohort born to save the world or die trying, it’s these kids. No wonder they all love The Hunger Games. Most teenagers I know spend a frightening amount of time reading dystopian fiction, when they are not half killing themselves trying to get into universities that they know are no longer a guarantee of employment. 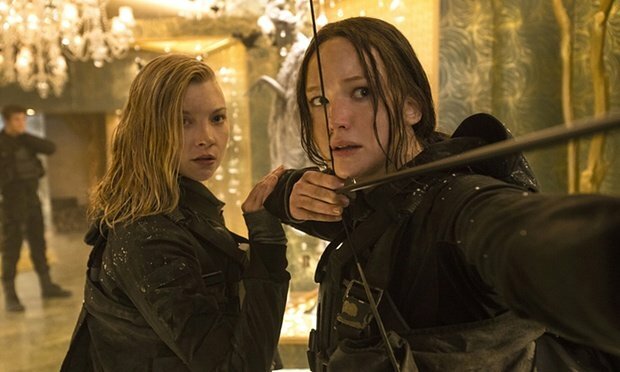 Suzanne Collins’s dark trilogy, which tells the story of a teenage girl forced by a decadent, repressive state into a televised fight to the death with other working-class young people, has sold more than 65 million copies worldwide. It has become the defining mythos for this generation in the way that the Harry Potter books were for millennials. In a recent study, the economist Noreena Hertz suggested naming the young people born after 1995 “Generation K”, after the traumatised, tough-as-nails protagonist of The Hunger Games, Katniss Everdeen. The logic is sound. The teenagers whom Hertz interviewed were beset by anxieties, distrusted authority and anticipated lives of struggle in a dangerous, uncertain world. Every exciting, well-told adventure tale is a comfort to lonely children but some stories are much more than that. When I was at school, Harry Potter and his friends were more important than the Greek pantheon. Harry, Ron and Hermione spoke to the values of my millennial cohort, who grew up convinced that if we were talented and worked hard, we would go to the equivalent of wizard school and lead magical lives in which good would ultimately prevail. We were wrong. Today’s young people have no such faith in the system. Not every­one gets a happy ending in The Hunger Games. The final instalment of the film adaptations of the books, which have smashed box-office records and made a superstar of Jennifer Lawrence, opens on 19 November. There is even a theme park planned, which seems rather redundant, as young people looking for the full Hunger Games experience – fighting to survive by stepping on the backs of other young people in an opulent, degenerate megacity – might as well try to get a graduate job in London. Generational politics can obscure as much as they reveal. All of us, however, are marked by the collective political and cultural realities of the time when we grew up. The generation born after the mid-1990s is about to reach adulthood in a dark and threatening world, a world of surveillance and police repression, of financial uncertainty and environmental crisis, of exploitation at work and abuse on the internet. It will have to navigate this bleak future without the soothing coverlet of late-capitalist naivety that carried millennials through school and university until it was cruelly snatched away by the financial crisis in 2008. That was the year The Hunger Games was first published. Sometimes, the right story arrives at the right time. Perhaps the biggest difference between the Potter universe and today’s dystopian stories lies in how the young protagonists relate to authority. Harry Potter and his friends are surrounded by sympathetic grown-ups, some of them wise, some of them kindly and some of them able to transform into furry animals. Sometimes authority goes wrong – such as when the hateful Dolores Umbridge takes over Hogwarts – but the problem is never with the system. 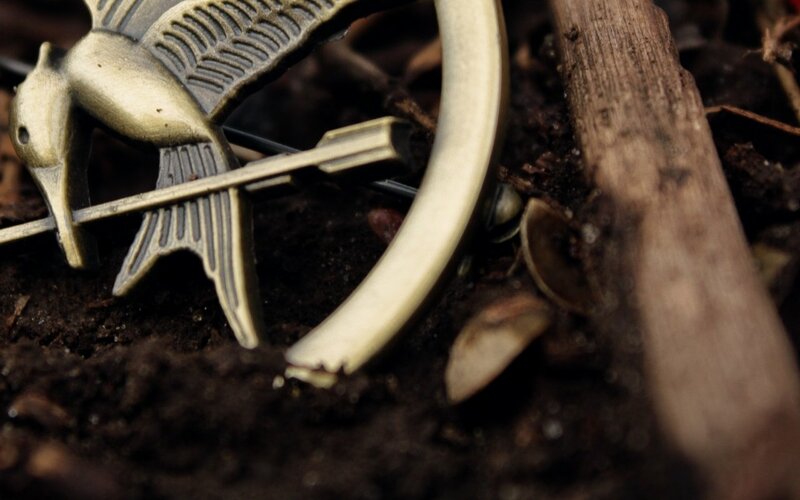 In The Hunger Games, the few adults who can be trusted have a tendency to be murdered by the state. Katniss cannot rely on any grown-up for help: not her drunken, shambolic mentor, not her traumatised mother and certainly not the agents of the Capitol, who are out to exploit her for their own ends. That mistrust tallies with the attitudes of today’s teenage readers, according to Hertz. They do not trust authority or institutions and why should they? Adults have made an Orwellian nightmare of half of the world and set fire to the rest. They might mean well but ultimately they do not have your best interests at heart, so it is up to you and your friends to keep fighting. This isn’t Hogwarts. You’ve got responsibilities and you’ll have to grow up fast. If the moral of Harry Potter is that good will ultimately triumph, the message of The Hunger Games is that we are all doomed, adults can’t be trusted and all you can do is screw up your courage, gather your weapons and fight to survive, even if “the odds are never in our favour”. Today’s teenagers are braver, better connected and less naive than any generation in living memory and it is up to the rest of us to stand behind them. Spoiler alert: there could yet be a happy ending, as long as adults remember, like Katniss, that the young are “more than just a piece in their Games”. Please click here to view the interview for ING online. Q.You’re known for not being afraid to raise controversial topics. Do you deliberately set out to challenge conventional thinking? Q.You say you’re not afraid to say what you think, but do you maybe sometimes feel like keeping your head down instead? Q.Your first book warned of the ugly side of capitalism, your second of a looming financial crisis. Your last book was very different, exploring how we make decisions and how to do it better. What made you choose that as a subject? Q.Were you surprised by what you learned about how we make decisions? Q.Hungry judges, lack of sleep – what else should we be aware of when making decisions? Q.Given we’re so easily influenced, what can we do to start making better decisions? Q.Do you think we’re worse at making decisions than we used to be? Q.Turning to financial decisions, is there anything unique about making financial decisions that people should consider before they make them? Q.So we should try to be emotionless? Q.Is there an ideal state to be in? Q.Are there other things we can do to help us make smarter financial decisions? Q.You talk in your book about the need to find a diverse range of people to advise us. Any tips on how to do that? Q.Are there things the financial sector could be doing to help consumers make smarter decisions? Q.What about relying more on data to make our decisions? Q.Final question. What would you do if you were a banker for a day?